Recently on my blog, I talked about my love for Trader Sam’s Coffee Company, a small business that makes amazing Disney-inspired coffee grounds! For fall, they released a new flavor, Pumpkin Spice King! It has an amazing pumpkin spice scent, and the bag is complete with Jack Skellington inspired artwork! 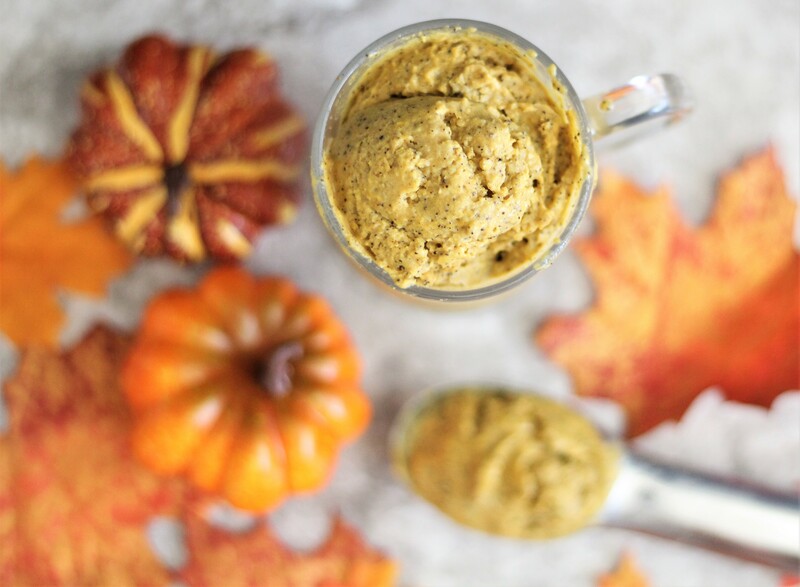 Since I loved the grounds so much, and it’s national coffee ice cream day, I created vegan pumpkin spice coffee ice cream! It’s super-simple and guilt-free! Place all of your ingredients in a blender until combined. Pour in a container and place in the freezer for two hours, stirring ever half hour so that it stays creamer, rather than becoming too icy and solid.